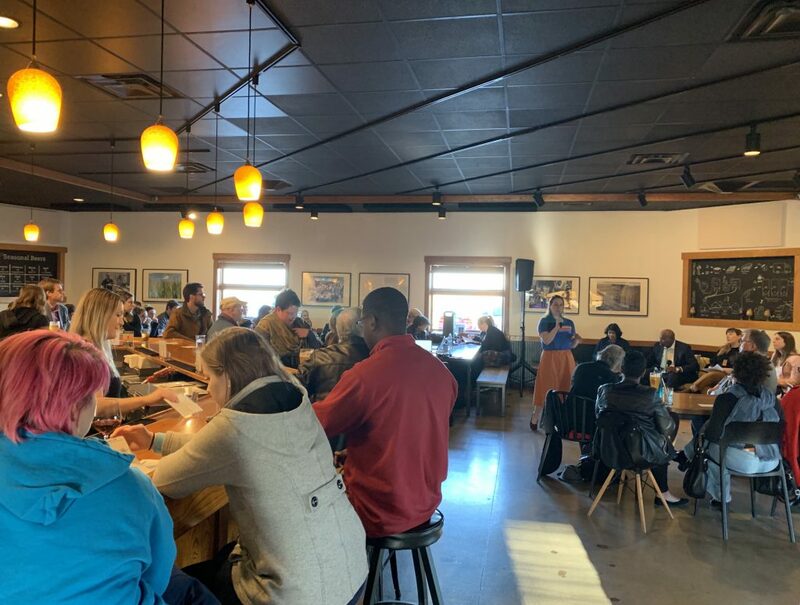 A broad scope of housing issues were discussed during WILL and Illinois Newsroom’s News & Brews: Why does affordable housing matter? event on Tuesday, March 26 at Riggs Beer Company in Urbana. 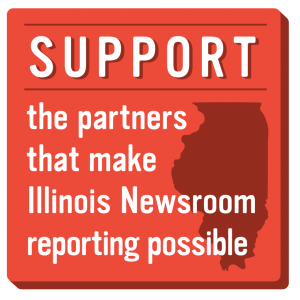 The event followed the launch of Illinois Newsroom and Illinois Public Media’s reporting series on housing issues, in which journalists focused on some lesser-known stories about homelessness and housing insecurity. Niala Boodhoo, Host and Executive Producer of the statewide talk show The 21st, facilitated a panel and Q&A discussion with Illinois Public Media reporters Anna Casey and Lee Gaines, and Champaign County Housing Authority CEO David Northern Sr.
During the panel, Anna Casey discussed her reporting on Illinois mobile home owners who feel trapped by rising lot rents. She also discussed the struggle for affordable housing for university students; Lee Gaines described the effects of little-known law that allows school districts to help some housing insecure families pay rent; and David Northern discussed the particular barriers Champaign County faces when working to house residents safely and affordably. Over 60 questions streamed in via text message to the event’s producers and the most popular were addressed during the Q&A. Listen to the second half of the event to hear David Northern Sr. speak about Housing Choice Vouchers (previously known as Section 8), and Ben LeRoy (Associate Planner, City of Champaign) and Lily Wilcock (Planner I, City of Urbana) discuss the ways zoning and new construction play into housing affordability. During an Illinois Newsroom listening tour across the state, people frequently brought up housing affordability as a topic they wanted to talk more about. Many working in the housing sector said there’s a misconception that housing insecurity is an issue that mostly affects older, single men living on the street. The reality is that housing insecurity affects a variety of people, many of them families with children, or others who may not fit traditional definitions of homelessness. If you have your own story or question about housing in your area, feel free to reach out to us at askthenewsroom.com.